In your role at Texas Children’s, you might have encountered situations where patients, Health Plan members, or vendors want to give you gifts to express their gratitude. And you’ve probably thought to yourself, can I accept the gift? The answer, unfortunately, is probably not. Depending on your job, accepting a gift may interfere with your professional responsibilities, and could trigger violations of certain laws or ethical rules. So what is appropriate? Below are some FAQs to ensure you and your staff are appropriately handling gifts among Texas Children’s workforce members, patients, Health Plan members, and vendors. It is not appropriate to accept high dollar value gifts such as expensive pens, jewelry, electronics, tickets to sporting events or concerts, or other extravagant items. Yes, you can give nominal gifts, valued under $10 per item, or $50 annually per patient or Health Plan member. For tracking purposes, these gifts must be reported to the Compliance and Privacy Office. Never give cash, cash equivalents (including gift cards), or high dollar value gifts. Always express gratitude, even when you cannot accept the gift. Clarify that Texas Children’s does not generally allow you to accept gifts. 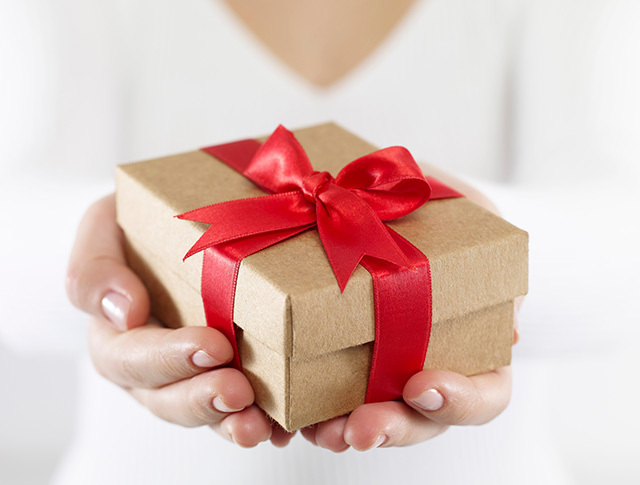 Stress that you do not want other patients or Health Plan members to feel like they have to give gifts. Can I accept cash or cash equivalents from a Texas Children’s vendor? No, it is never appropriate to accept cash or cash equivalents from a vendor. A vendor sends me a box of chocolates for the holidays. Can I accept it? Yes, in-kind gifts are acceptable if they are infrequent and of nominal value. These types of gifts should be shared with your co-workers. No, it is never appropriate to accept a gift of any kind from a company that is involved in a current vendor selection process. If a vendor offers any other type of gift or monetary compensation, please contact the Compliance and Privacy Office for assistance. If you have a question about giving or receiving gifts, please contact Compliance and Privacy (Ext. 4-2085 or compliance@texaschildrens.org).